On November 22, 2010 I was arrested for the possession and selling of marijuana. It was three months into my ninth grade year, and I was expelled from the school district. How did I get here? I wondered just that as I sat in the back of a police car wearing handcuffs. Being out of school for four months made me rethink a lot of things, especially how different my life would be if I had chosen not to sell drugs. Hearing the principal dialing my father’s number made everything real. All I could do was sit there and feel all this anger building up in me, which later turned into tears. Right then and there I felt disappointed in myself. I couldn’t be mad at the principal for telling my dad the truth. All I was thinking about was how disappointed my parents were feeling—after all, they are my heroes. I am the youngest of five brothers and sisters, and we come from good morals and value family. My parents were already dealing with my older brother’s five-year sentence in prison the year before. I saw how devastated they were and how hard it was for my entire family. Yet, I was choosing to go down the same path. I sat in an empty room by myself in the police station with my heart in my stomach, nervously waiting for what would happen to me next. At that point, I couldn’t image any bright future ahead of me. I was only fourteen. Four months later, in March of 2011, I got put on probation for an entire year. Immediately, I got involved at the Boys & Girls Club of Venice. The court ordered me to serve 80 hours of community service and take ten sessions of individual counseling and drug counseling. I completed all my hours and counseling within two months. Now fast forward almost three years—I am still here. 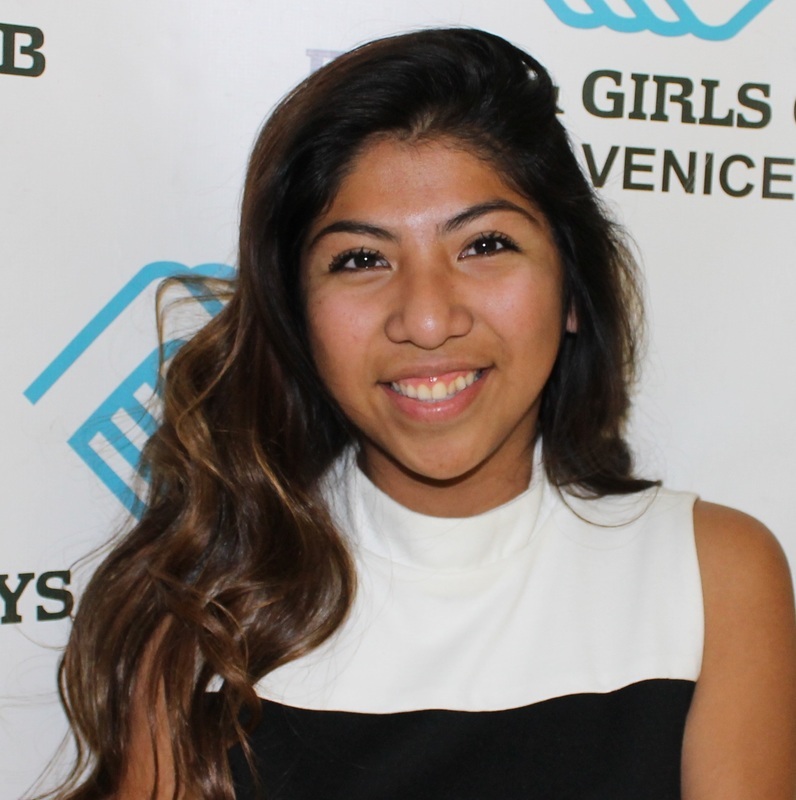 The Boys & Girls Club helped change my life in the most positive way. That spring I joined Junior Staff, where I landed my first job in the summer working with 5-7 year olds in a day camp. In 2012, I was attending Junior Staff when I was introduced to Kim Dubois, who worked for the U.S. Embassy. She came to talk to our class about an opportunity in Buenos Aires, Argentina. She handed out an application with the requirements, and I ended up applying, sure I would never get it. The following week I got a call for an interview. The interviewers informed us that we would know the following day via email who was chosen. The next day I received an email saying, “Congrats! You were chosen to join us on a trip to Buenos Aires, Argentina this summer.” I couldn’t believe it! We spent almost every day at the U.S. Embassy in Argentina, and I got to shadow a consular officer who decided whether or not people got visas. It was an amazing experience. A lot of these opportunities I have encountered the last three years wouldn’t have been possible without the support and encouragement of the Boys & Girls Club of Venice. What happened to me at the beginning of ninth grade I now see as a blessing in disguise, a lesson well-learned. I am grateful for all the chances, advice, and fun times the Club has provided me. Not only have I learned a lot from the staff, the kids who attend the Boys & Girls Club have also taught me so much. I love working with the kids, helping them with their homework and teaching them positive things. The mindset I had three years ago is a lot different from the way I approach my life now. I have my priorities straight and I give thanks to my mentors Danielle Chi, Jason McLaughlin and Oscar Duncan. They all supported me in every way they could to help me get back on my feet. If it wasn’t for the court’s order to do community service, I would be missing out on a lot. I’m glad I didn’t choose to go down the same path my older brother went through. He will be released from prison in a few months, and I couldn’t be more excited. He will get a second chance at life and I hope I can be a good role model for him, even though he is a few years older. The Boys & Girls Club means a lot to me and I will continue to work with them as much as I can. I hope one day I can share my story with other struggling teens and be someone they can look up to. The Club was the motivation and support.